The rubber tree (Hevea brasiliensis) is an important economic crop, particularly in Thailand. As the plantations extend to new and drier areas, information on physiological parameters such as water use efficiency (WUE) is required to help breeding for adapted genotypes. Carbon isotope composition of bulk leaf (δ13C) can be used as an indicator of intrinsic water use efficiency (WUE) of plants. A prerequisite step is to analyse the genetic variability of δ13C. 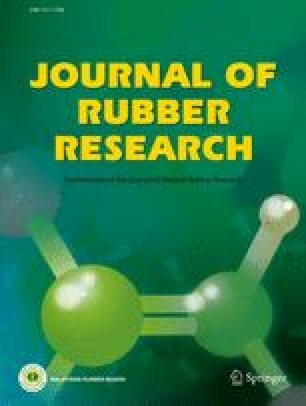 We compared the carbon isotope composition of bulk rubber tree leaf (δ13C) in rainy and dry seasons in a collection of 49 wild genotypes of rubber in Northern Thailand. There were large δ13C variations among the genotypes at all seasons. δ13C ranged between −33.3‰ to −30.0‰ in rainy season and −33.1‰ to −29.9‰ in dry season. δ13C was rather stable with a good correlation between rainy and dry season. In rainy season, there was a positive significant correlation between δ13C, leaf mass per area (LMA) and leaf nitrogen per area (NA). The average δ13C was significantly different between two genetic clusters previously identified in this population. The large genetic variability of δ13C in wild rubber population is promising for breeding genotypes using less water.